If you struggle with a restless heart, this is for you! 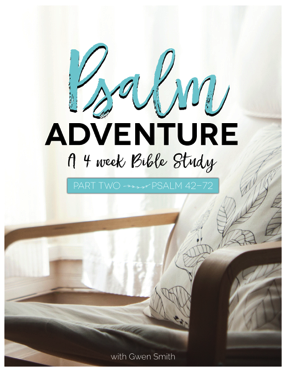 Girlfriends in God cofounderGwen Smith is hosting a FREE online Bible Study, a PSALM ADVENTURE, Part 2, beginning January 14th. We’ve gotten countless messages asking how you can know what God says about forgiveness, healing, fear, depression, finances, relationships and hope. You want to know and trust God more, and learn how to connect your personal struggles to His promises.